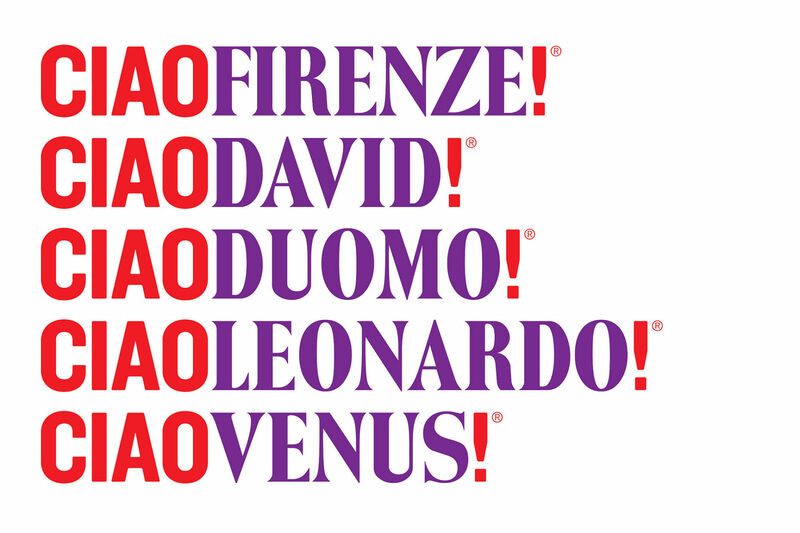 Branding and naming proposal for Firenze city. 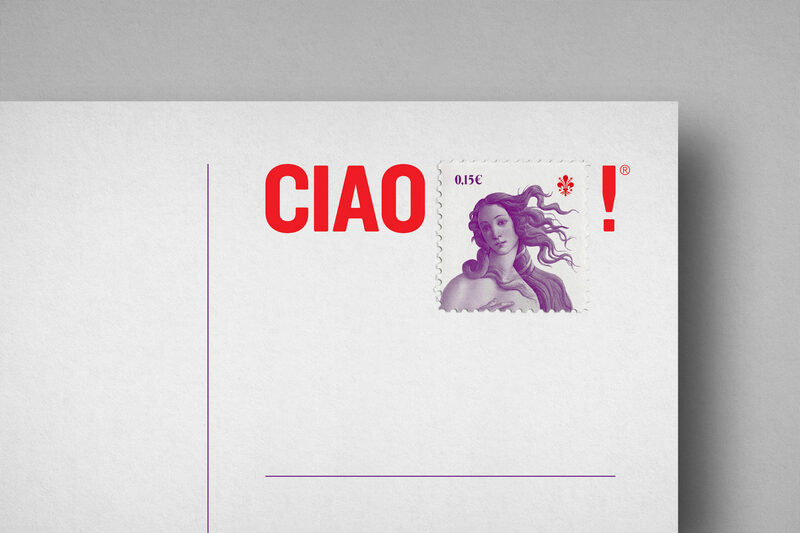 The greeting and farewell are one of the first things you learn from a language. 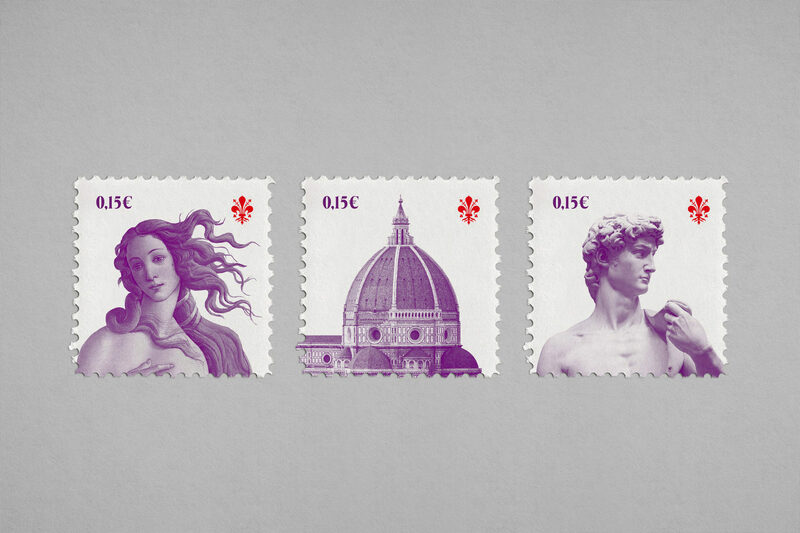 They are directly linked to the relationship between people and places. 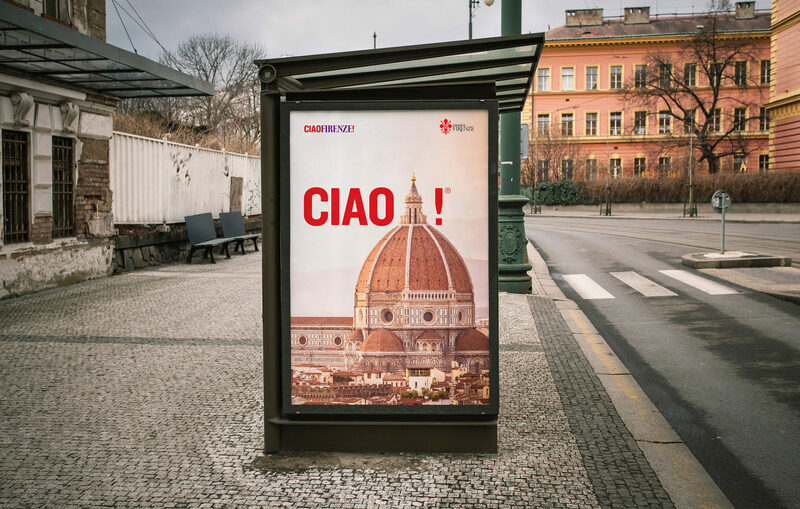 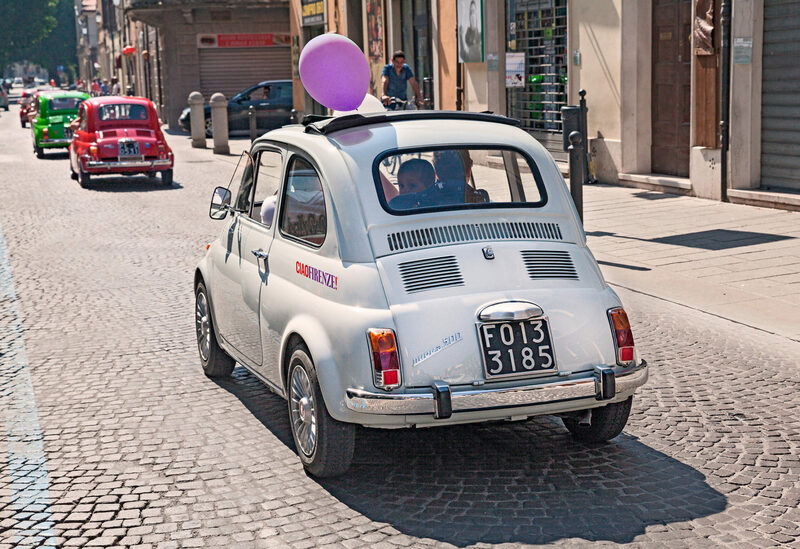 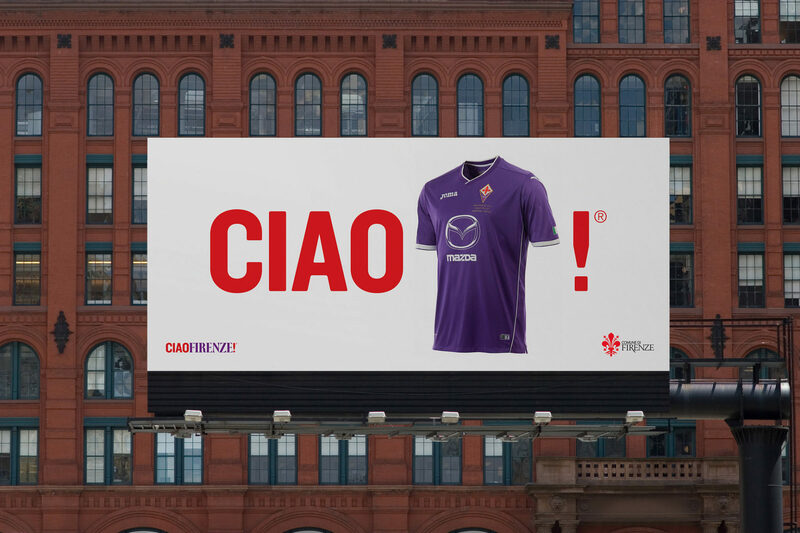 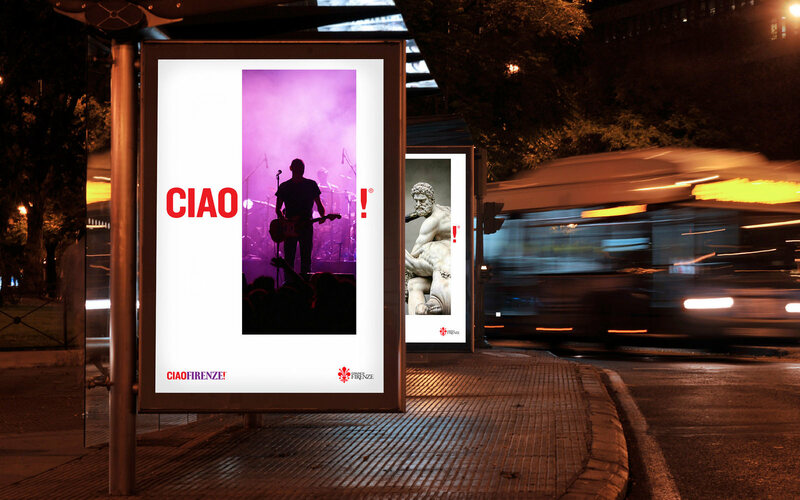 The double meaning of the word ‘Ciao’ (it is used both to say ‘hello’ as to say ‘goodbye’) allows to play with the greeting and farewell; when you arrive “Ciao Firenze!” when you leave “Ciao Firenze!”. 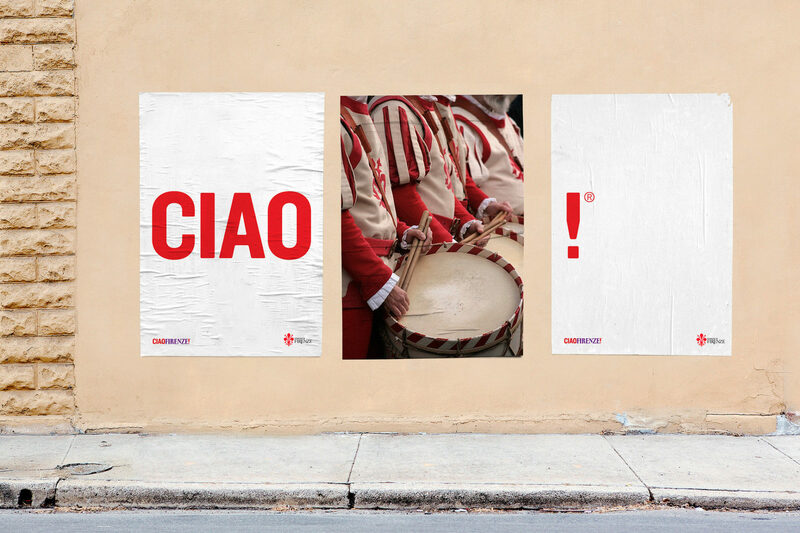 Being ‘Ciao’ probably one of most popular Italian words, we achieve to connect both with the inhabitants as well as with the visitors of the city. 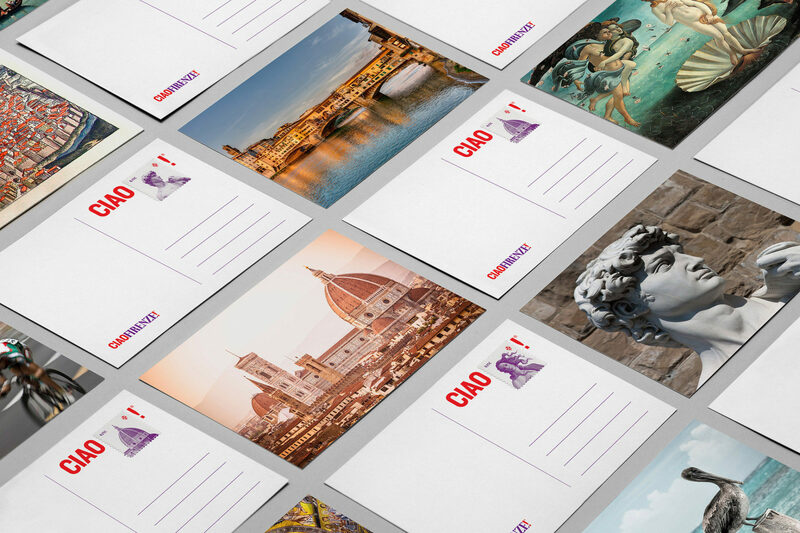 The proposal poses a dynamic identity, in which the word Firenze can be replaced by any image or word that represents it, thereby enabling to promote and communicate the values of the city in a dynamic and contemporary way.